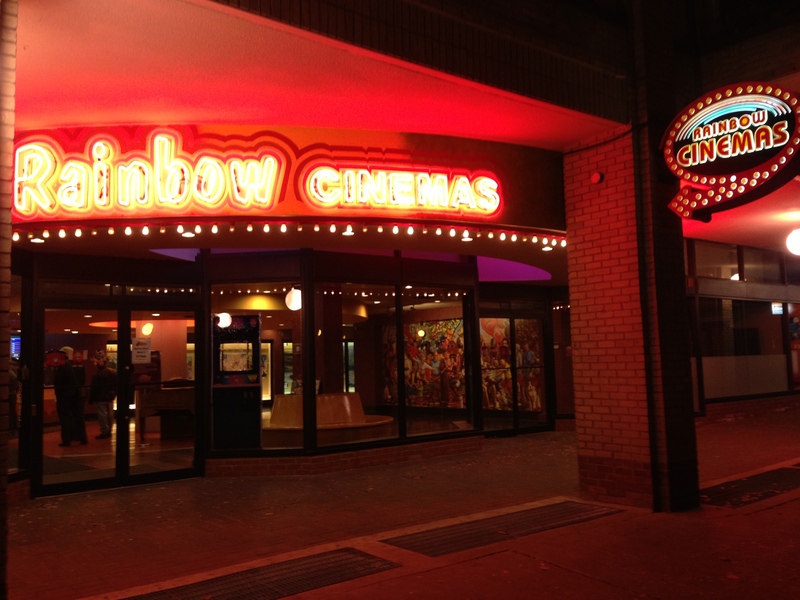 Rainbow Cinema Market Square theatre has been around since 1983. Not only is the admission price a whole $3.49 cheeper than cineplex theatres, but it offers an experiences that you just can’t get anywhere else. You may go for the movie, but you will stay for the experience! 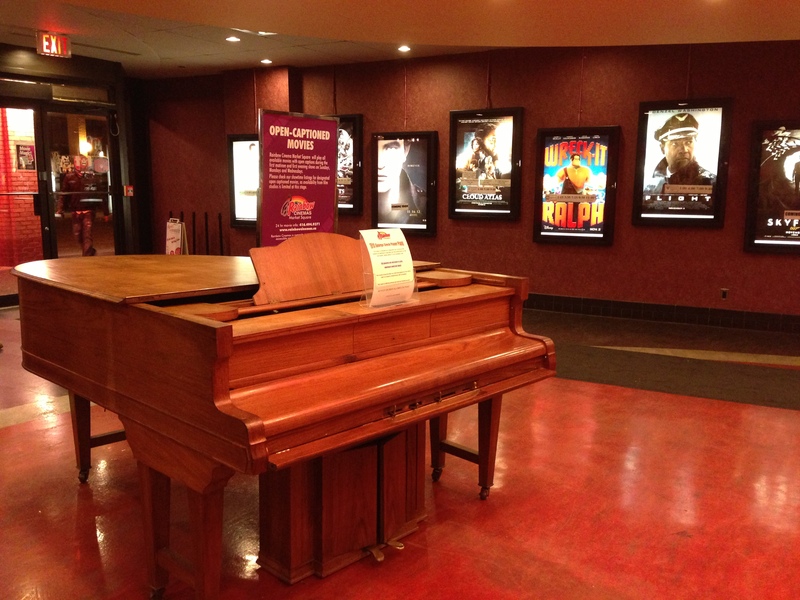 In the entrance where you buy your tickets, there is a piano available for anyone who wishes to play it. Tickets are $9.50 for an adult evening show, and $5 on Tuesdays. 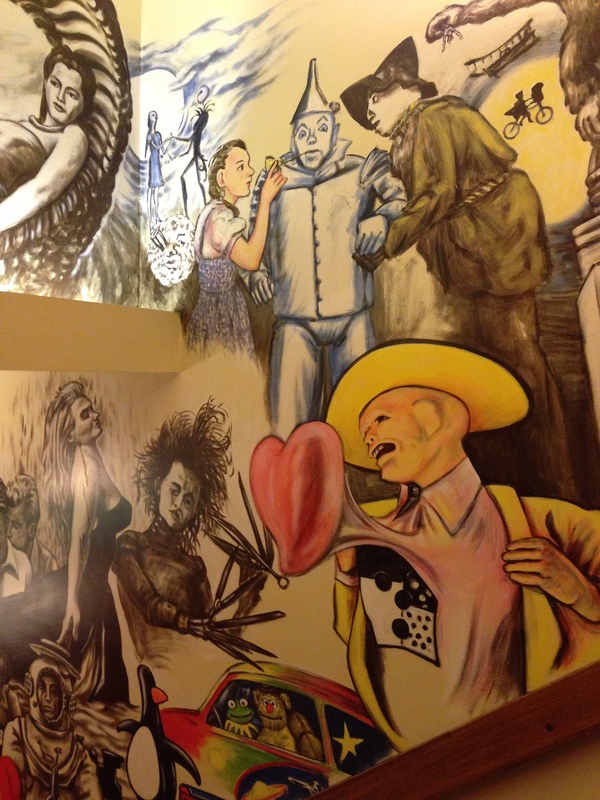 Once you have bought a ticket, proceed down a hallway where local artists display their work for sale. It is a great place to hang out while you wait for your friends to show up. When your ready, take the escalator down, past a movie mural wall to the snack station where they will check your ticket. Now it is time to find your theatre. The theatres range in size from about 25 to 60 seats, with different sized screens and decor in each depending on which of the six rooms you are in. It is always a surprise! The best part though is yet to come. My favourite part of the Rainbow Cinema experience is the short promotional videos before the film. Cheesy 80’s style graphic commercials, asking patrons to be quiet during the show, and advertising Rainbow Cinema gift certificates, ‘the perfect gift for a wedding or birthday. I searched on You Tube to try and find an example of the videos, but with no results you are just going to have to go see a movie for yourself! ← My 40th Post: Happy Birthday Shan On Route! Anytime you are in the mood just let me know and I will come with you!